First stop, Facebook marketplace! – an excellent source of day-day ‘crap’ and more…There’s a few printers available, Da-vinchi’s coming out of ones ears, Eaglemoss magazine ones and Anet A8’s, tarantulas, and more…. so, dismissed (that and there seems to be many, many ‘issues’ including spontaneous combustion, which is one of my lesser preferred features in any household appliance. Jumping onto Gumtree, Shpock really showed a myriad of printers for sale, and my thoughts, if there’s so many for sale, are they any good, Should I be interested in the ones that aren’t selling second hand!? Armed with a little more flash cash (don’t tell the wife) I decided to make my research easier, Bowing down to a little peer pressure, it seems that ‘everyone’ has one or more of these three brands. Because! 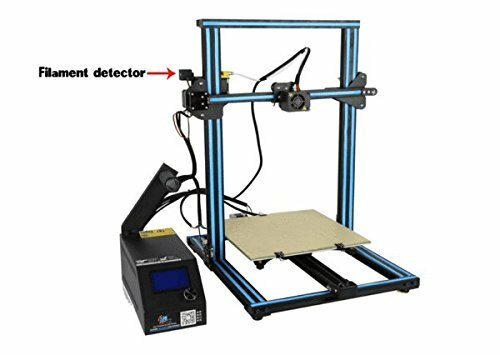 i’d been eyeing up a few of the manufacturers offerings at night and probably had already made a decision………..
Next Next post: Creality CR-10S – Perfect…..